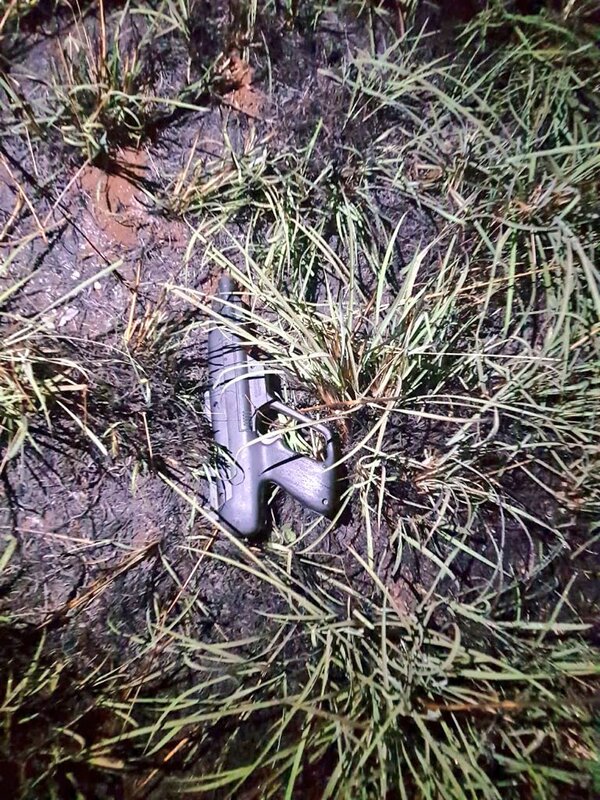 Home MTAANI NEWS Makongeni police shoot dead 6 gangsters, recover gun and stolen items. Makongeni police shoot dead 6 gangsters, recover gun and stolen items. The gun that was used by the thugs to rob Sunveat Industries. Six suspected gangsters were on Monday morning gunned down after a failed robbery attempt in Thika’s Makongeni area. The gang, believed to be between 10 and 20, is said to have drilled a hole under the perimeter wall to gain entry to Sunveat Industries along Oloitiptip road at around 3am. Fortunately, one of the security guards spotted them and alerted his seniors who immediately called Makongeni Police Station. 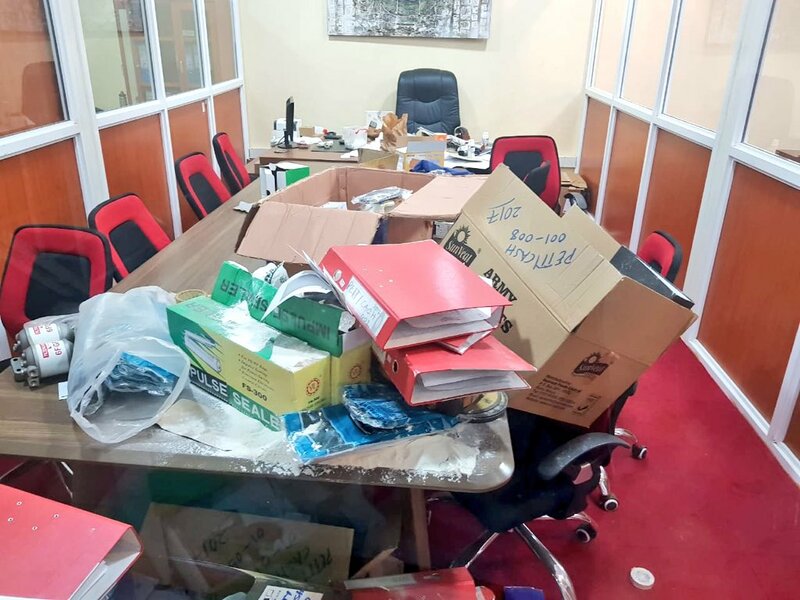 The crime scene after the attack by the thugs. 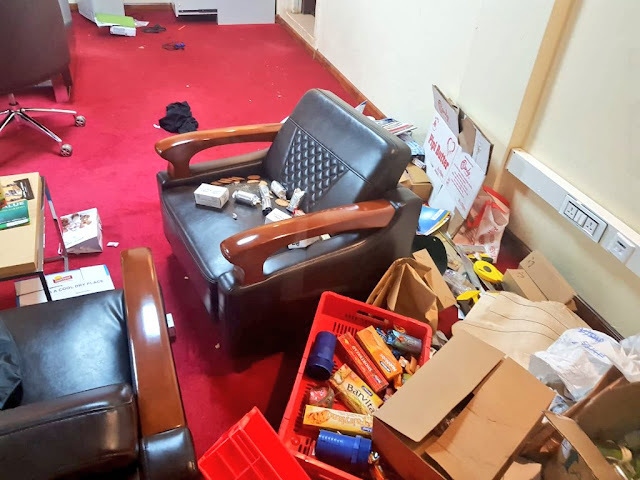 In an operation led by Makongeni OCS, James Mwita, the police jumped over the company walls and took cover before intercepting them on their way out of the compound. On realising that they had been cornered, one of the gang members who had a homemade pistol attempted to open fire but the police were too swift for them, gunning down the six. However, the rest of the thugs managed to escape, some believed with gunshot wounds. “The thugs were intercepted as they were getting out with the stolen items. We have managed to recover several laptops, television sets, mobile phones, biscuits and biros from the thugs,” explained Kiambu County Police Commander Adiel Nyange. Nyange appealed to all health centres in the region to notify the police in case the received any patient with gunshot wounds. The same gang had earlier on attempted to invade Prime Value Company where they assaulted one security guard. The thugs are believed to be part of a gang that has been terrorising residents in the area. Youth urged to invest in real estate. Kiambu Government bans Daytime Prostitution.